In October, Katie from That Geek Online was my featured blogger. You can read that post and see other past featured blogs under the "blog of the month" label! Being my blog of the month gets you a designated blog post, a sidebar button, and a mention on my Twitter account. The sidebar button stays up all month long. I don't believe in necessarily making bloggers pay for advertising and I'd much rather show you blogs that I really enjoy reading. And I hope you end up enjoying them too! 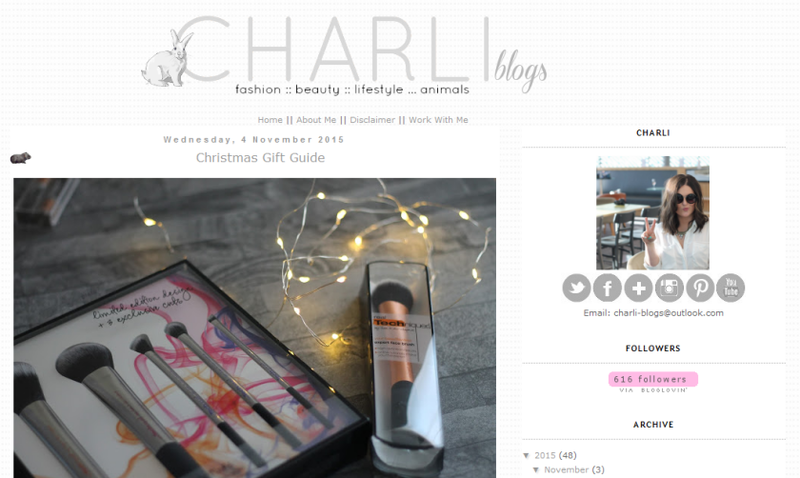 Charli from CharliBlogs is this month's featured blog. I don't remember how I found her blog and I don't think she follows me, but I know I can't get enough of her photos and posts. She blogs about a little of everything with her most recent post being a gift guide. Her blog is quite lovely!